I think this little vacuum is trying to gobble up my sequins! 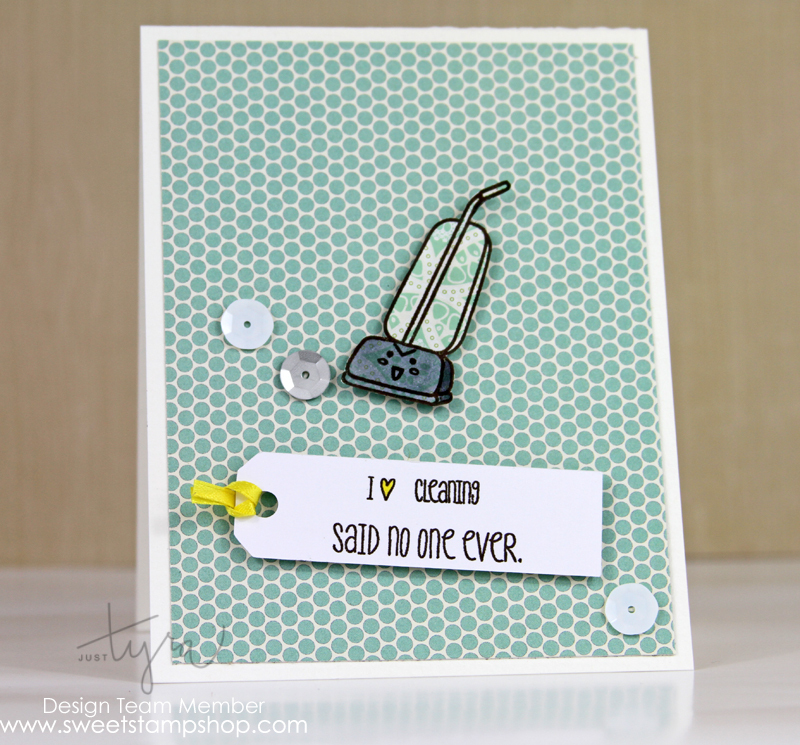 This entry was posted in Designing, Sweet Stamp Shop. Bookmark the permalink. How cute…that image is adorable and the sentiment is so true! I just love your CAS style! Your cards are fabulous! Aw!! Such a cute card! Love the colors!! (My favorite color combo I think!! I’m so excited to be on the team with you this term!! I LOVE your work!!! Congratulations!!! I always love your cards, Tyra, and this is no exception! I love how you make something so clean even when it seems like it should be busy. The pattern combo is super cool and I love the sequins! Love that cute vacuum stamp!